What is GIPS compliance, and why is it helpful for institutions performing OCIO searches or OCIO evaluations? 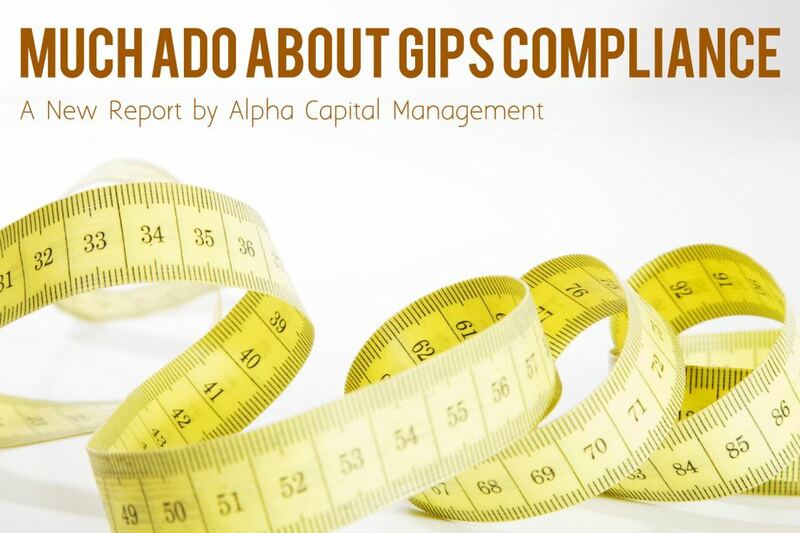 A new Alpha Capital Management report dives deeper into GIPS compliance and why Alpha believes it should be adopted by the OCIO industry. ATLANTA - Nov. 1, 2018 - PRLog -- Alpha Capital Management (Alpha Capital), which offers consultant search services for institutions, announces the release of a new research report titled "Much Ado About GIPS Compliance." The report, which was made available today on Alpha Capital's website, describes what it means for a firm to be GIPS compliant and why OCIOs should consider adopting this standard in performance reporting. Performance is one important way to draw clear comparisons between investment managers (though, of course, it is not the only factor to consider). Most investment managers in traditional asset classes, especially those who work with institutional clients, already claim compliance with Global Investment Performance Standards (GIPS), a globally accepted methodology for calculating and presenting performance information. Prospective clients are able to directly compare investment manager results to measure skill (i.e. alpha). GIPS is so accepted as an institutional performance reporting standard that three quarters of investment consultants will not consider managers that don't claim compliance with GIPS for their performance data some or all of the time, according to a recent survey. And yet, of the more than 1,500 firms who the CFA Institute lists as claiming compliance with GIPS, few OCIOs are among them. "We firmly believe that the industry will reach a "tipping point" where the major players are GIPS compliant, and competitors must follow their example to stay relevant," says Anna Dunn Tabke, principal at Alpha Capital Management. "Indeed, we are seeing more discretionary investment consultants and OCIOs talk about or start down the path of calculating performance in line with GIPS. We believe this report is timely, as our institutional clients are demanding comparable, standardized performance numbers in our OCIO searches. The standard is already out there, and we hope that OCIOs adopt it."